"I don’t know when enough is enough..."
“The world is changing,” says a soft, tired voice at the other end of the line. 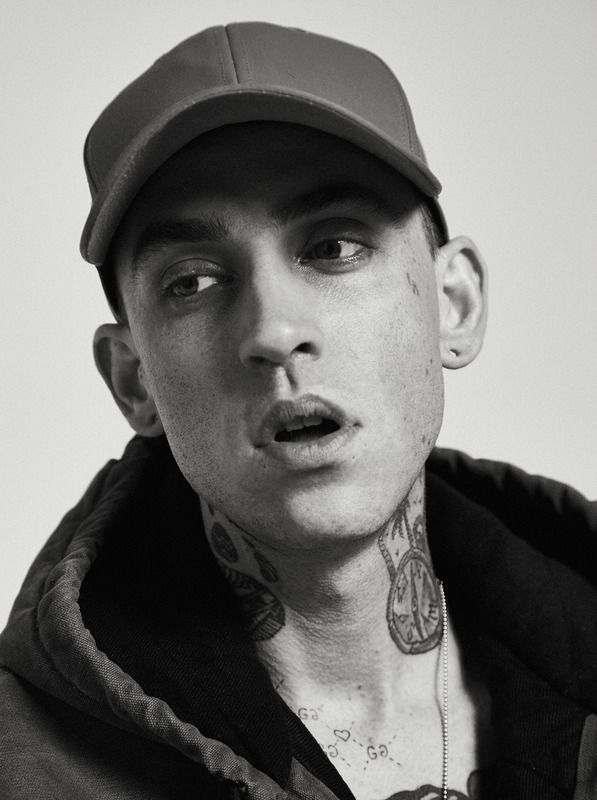 “I’m trying to adjust to it, just like everyone else.” It belongs to 27-year-old producer, singer, rapper and label head Matthew Musto, known to most as blackbear. 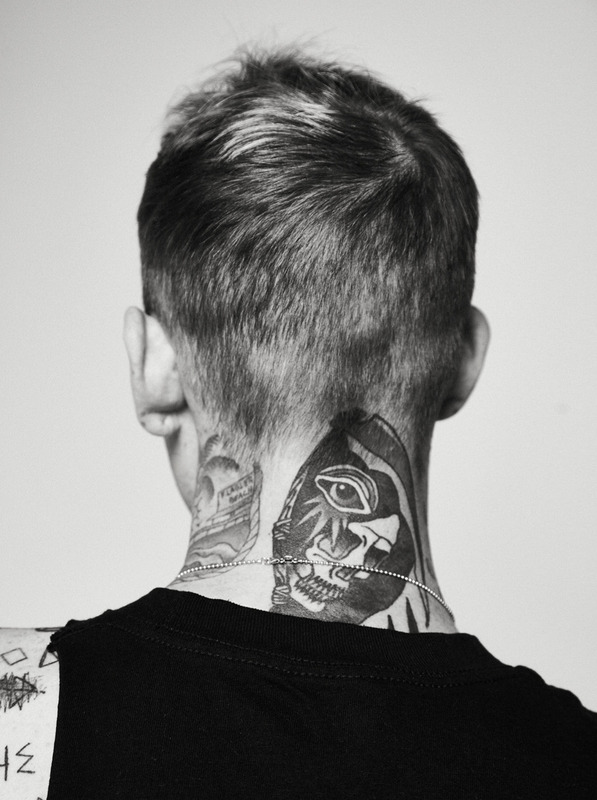 Unassuming in dialogue, but aesthetically and philosophically eye-popping, Musto’s sleight, tattoo-covered frame is where hip-hop, R&B and EDM converge with Instagram, Snapchat and luxury fashion. Behind his heavy eyelids is where culture clashes with emotional instability, social anxiety and self-medication. Born in Pennsylvania, Musto had to grow accustomed to instability from an early age - leaving his heroin-addicted father as a toddler, he moved to Florida with his mother and brother. Growing up, he developed an attraction to noise and an addiction to attention; by high school he had signed a record deal with a MySpace-wooing pop-punk band called Polaroid. Musto eventually stepped out on his own, moving first to Atlanta, under the tutelage of Ne-Yo, and then to LA, hunting down opportunities to cause a scene loud enough to satisfy him. In 2012 he penned Justin Bieber’s hit ‘Boyfriend’, alongside friend and collaborator Mike Posner. Musto was 21-years-old, and suddenly had more money and reputation than he knew what do with. 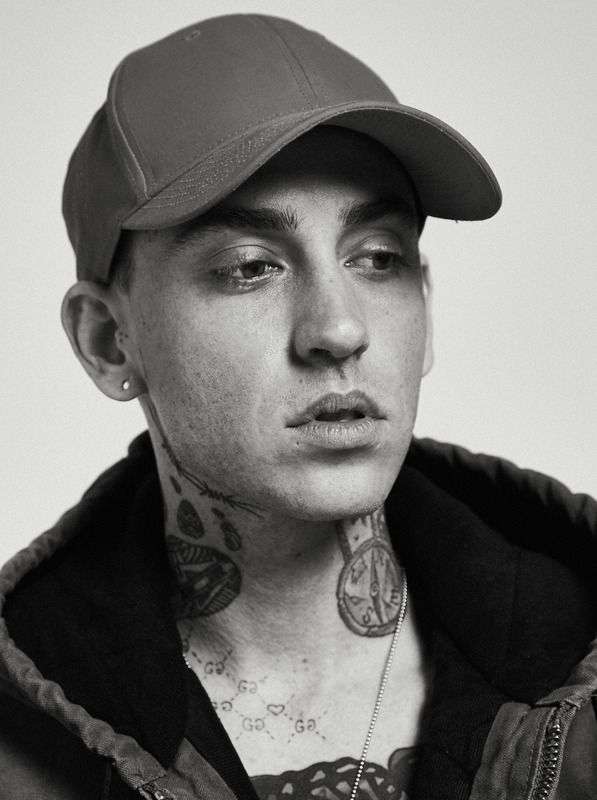 While in hospital, he wrote the majority of material for his first studio album, ‘Digital Druglord’, and the experience of writing while in intensive care drove him to “work harder and make up for all the time that I’ve lost sitting in a hospital bed.” This would reflect in his work ethic; in the same year, blackbear would follow up with a second album ‘cybersex’, as well as a collaborative album with Mike Posner as Mansionz. ‘cybersex’ was released in its entirety on November 27th last year - Cyber Monday, and Musto’s birthday. The art direction for the project, led by Musto himself, toys with ideas of Internet escapism and augmented reality, while themes of each song flick freely between meditations on materialism and confessional memorandums of a lifestyle taking its toll. “On this album, I wanted to open it up more,” he explains, “just to show my taste, where I came from, and the people who inspired me to write songs.” 2 Chainz, Rick Ross, Cam’ron, Ne-Yo, T-Pain, Tinashe and Houston icons Paul Wall and Riff Raff all feature in a stellar line-up of contributors who contrast their own fierce individualism with blackbear’s ineffable ability to make braggadocios descriptions of high-end Italian bedspreads sound deep. “Some of the people I’m working with right now are 10 years younger than me, and make music in a totally different way. They’re the ones keeping me inspired right now,” he says as the conversation draws to a close - insightful but lazy, as if yearning to float back to the comfort of his LA studio. Musto was made to create: the dye in his hair, slogans on his T-shirt, and symbols and scripts that adorn his body tell of the brief moments in his life where music isn’t his main form of communication. He is a switchboard, plugged into the millennial condition, streams of data flowing from one end of the cultural spectrum to another, through him. blackbear is connected.